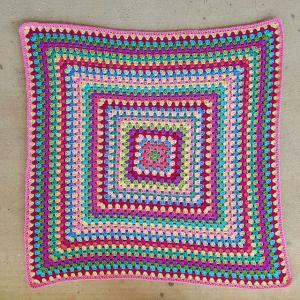 About three years ago my mom promised her then pregnant neighbor that I would make a blanket for the "new" baby. 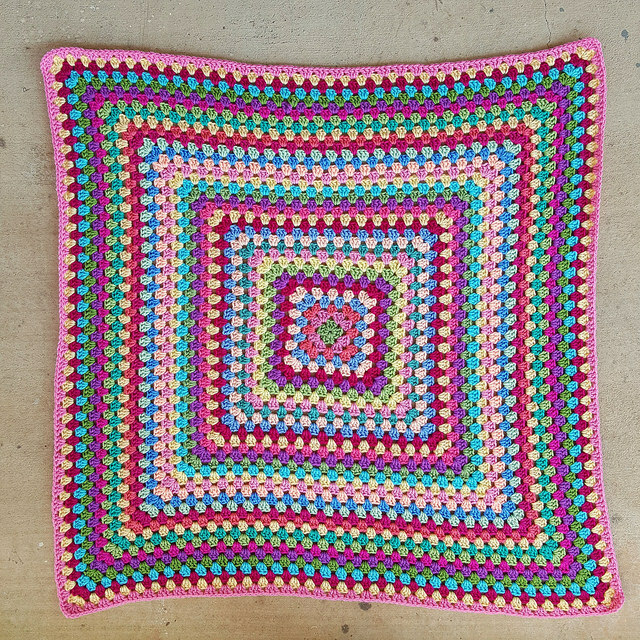 Well, the new baby walks and talks and is now almost three, but I finally got a blanket done for her. Nice job and so colorful. well that turned out just lovely!! nice job carol!